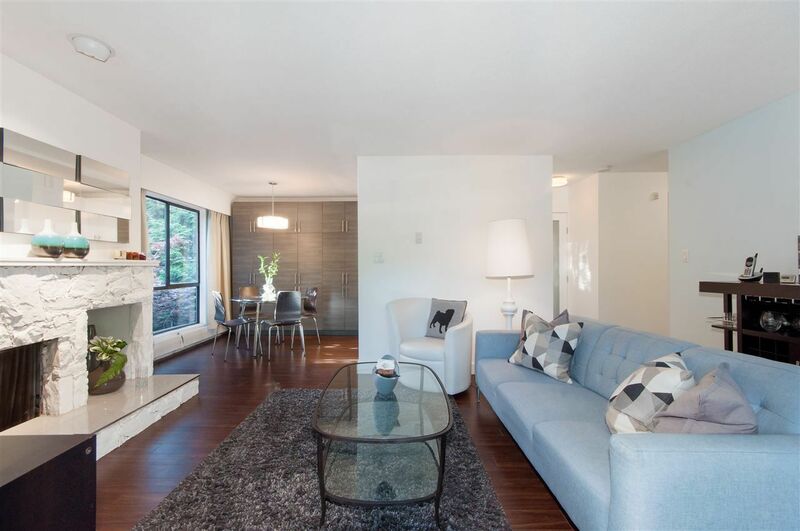 Beautifully renovated, large 1 bdrm, SW corner suite with wrap-around balcony in-well-run complex. Across from Shaughnessy and steps to South Granville shops and restaurants, park and transit. Large LR with wood burning FP, spacious bdrm and insuite laundry. Pet friendly, rentals ok. 1 parking and 1 large storage locker. This is a "must see" property to be truly appreciated.